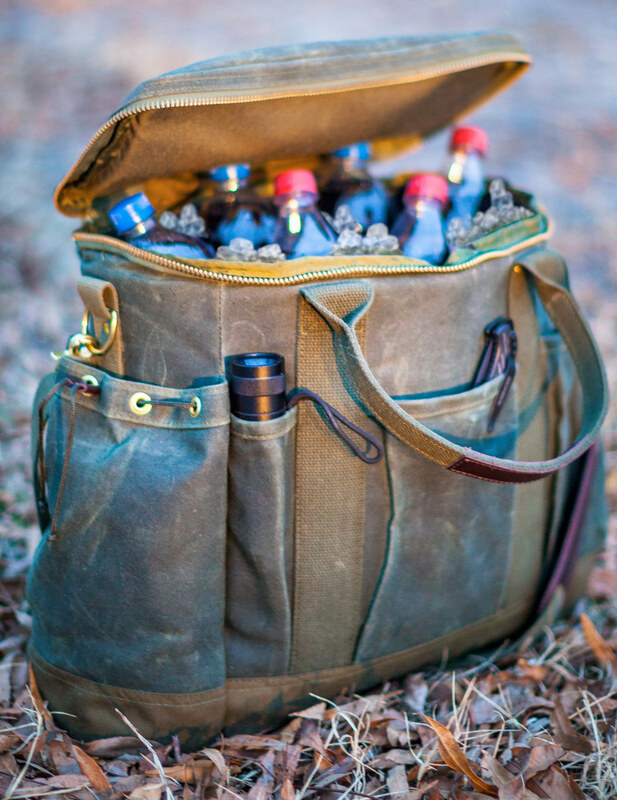 Ultimate cooler for the serious outdoorsman. 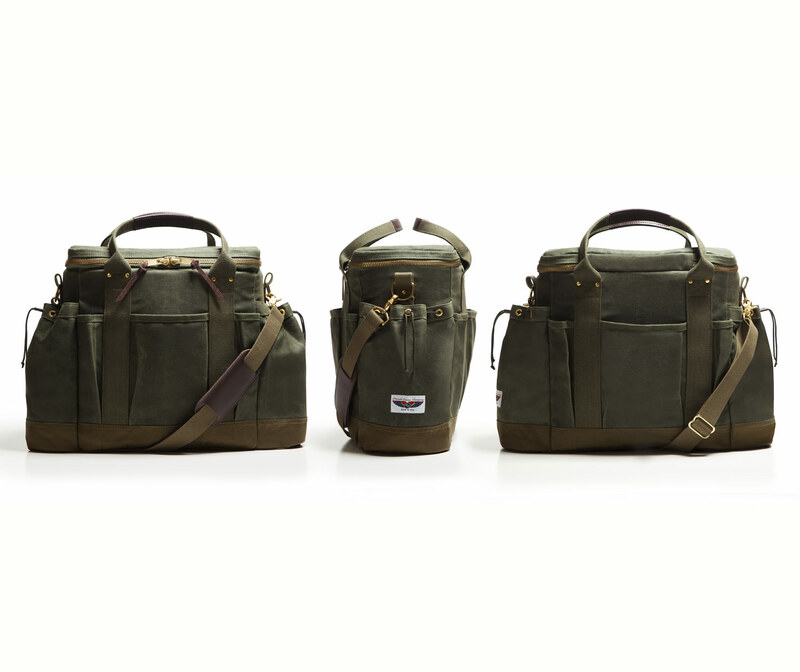 Features vintage wax duck canvas with a water repellent Cordura™ nylon bottom for extra durability. 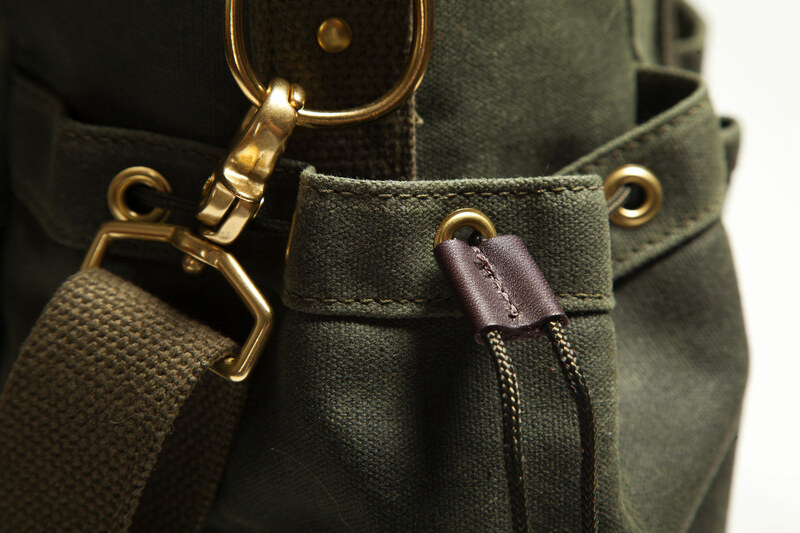 Easy to access multiple pockets on front and back with large drawstring pocket on each end. 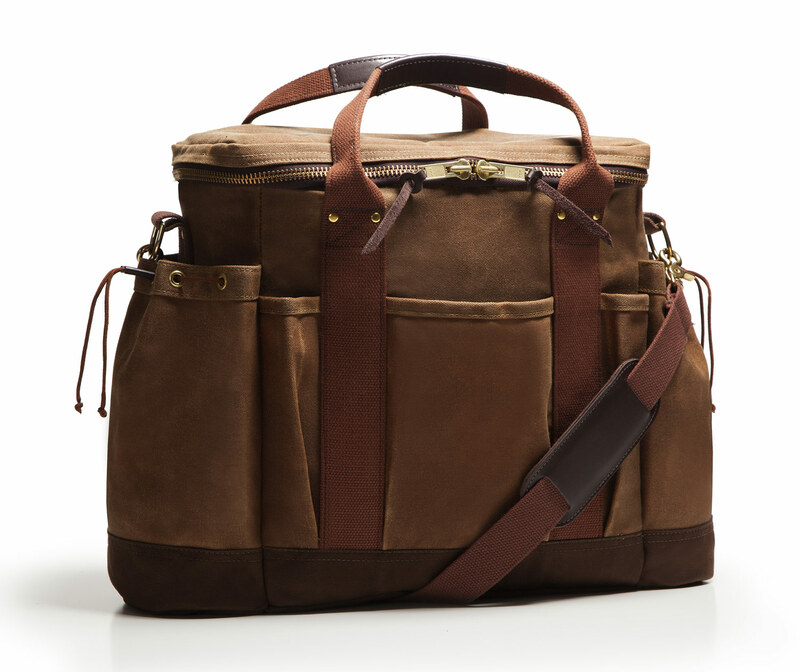 A shoulder strap is included for convenient over-the-shoulder carrying option as well has leather padded handles. 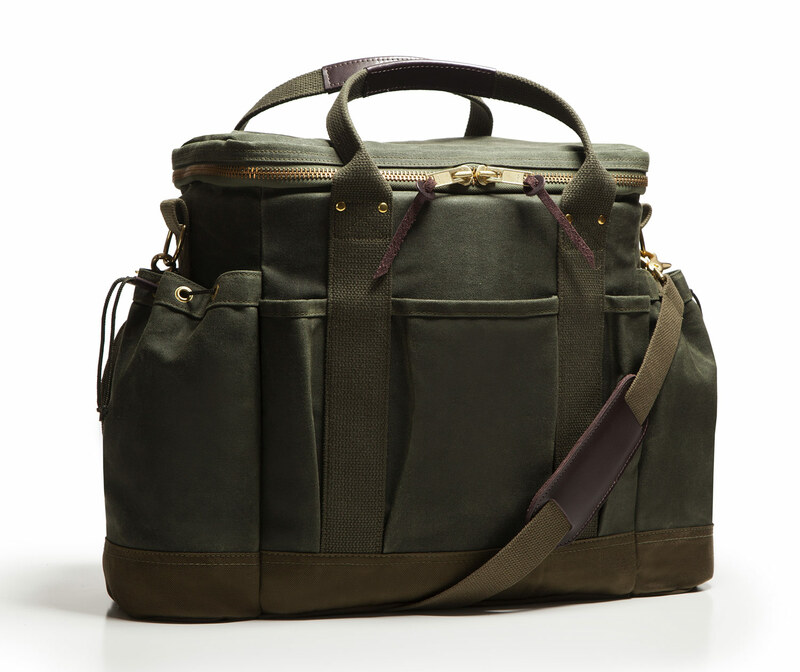 The cooler compartment is accessible through an extra-large brass zippered top that opens on three sides and completely flips out of the way. All solid brass hardware for durability and ageless beauty. 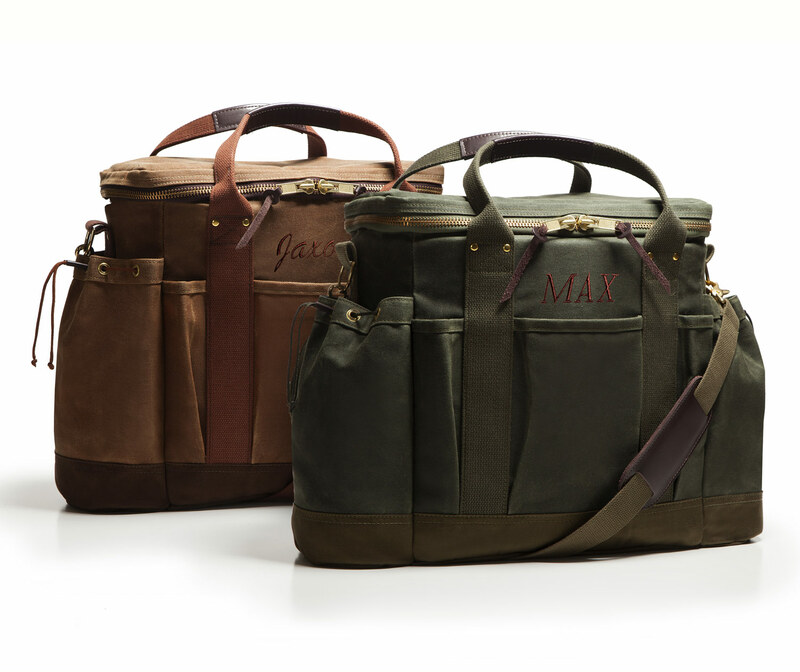 Martexin Original Wax Duck Canvas is a highly specialized textile product that precludes normal cleaning. Just as you wouldn’t wash a leather product, such as shoes, gloves, or jackets, you shouldn't machine wash or dry clean your wax duck product. Wax fabrics have been successfully used for many years without washing. A periodic cleaning with a hose and damp cloth is all that’s needed.